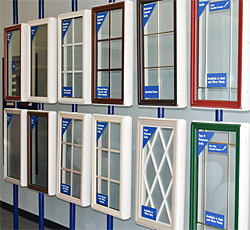 Windows and Frames: Many window frames are a thermoplastic material like polyvinyl chloride (PVC), and minor surface damage can be repaired using our repair materials. Both MMA and Quick Glaze products are acceptable. 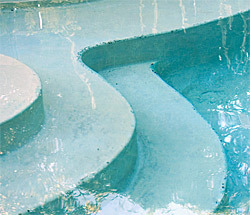 Swimming Pools and Steps: Many swimming pools and steps are produced using plastics such as polyvinyl chloride (PVC), Centrex® or Rovel®, and minor surface damage can be repaired using our repair materials. Both MMA and Quick Glaze products are acceptable. 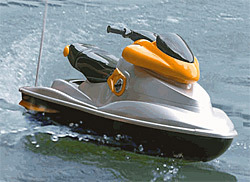 Boats, Snowmobiles and Personal Water Craft: Boats and personal watercraft (PWC) are frequently produced from either reinforced fiberglass resin (FRP) or thermoplastics like ABS (acrylonitrile-butadiene-styrene). Therefore, those products are compatible with our repair materials (e.g. MMA and Quick Glaze). 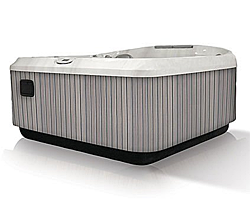 Spa Bases/Pans (ABS): Many manufacturers construct portable spas having a plastic base to protect the components from the effects of groundwater, etc. These are normally produced from black ABS. We offer materials and procedures to repair the edges that may be damaged in handling. 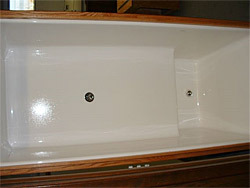 Refer to our other website, surface-repair.com, for information. 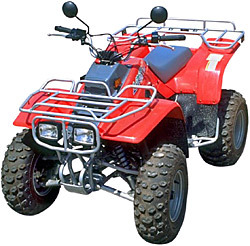 Farm implements, Semi-Tractor Trailers, Recreational Vehicles-Automotive/Transportation Spot Repair: These products contain various thermoplastic and FRP components, and are compatible with our MMA and Quick Glaze repair materials. The issue is whether an acceptable color match is available or if you are able to create a match using toners. FRP Tanks and Baptistries: These products are frequently produced from various thermoplastic or FRP materials, and are compatible with our MMA and Quick Glaze repair materials. The issue is whether an acceptable color match is available or if you are able to create a match using toners. If the surface has major, large areas of imperfection, a complete re-surfacing can be accomplished using the FRL system.